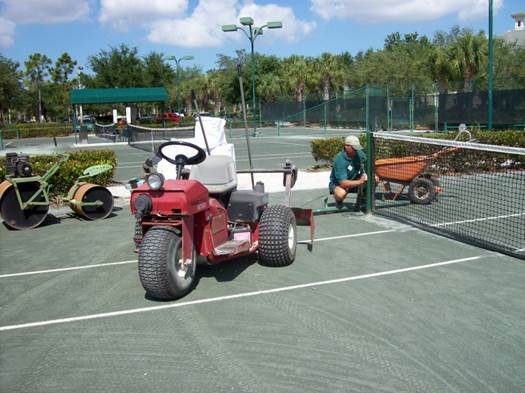 Clay Tennis Court Maintenance Seminars | Welch Tennis Courts Inc. 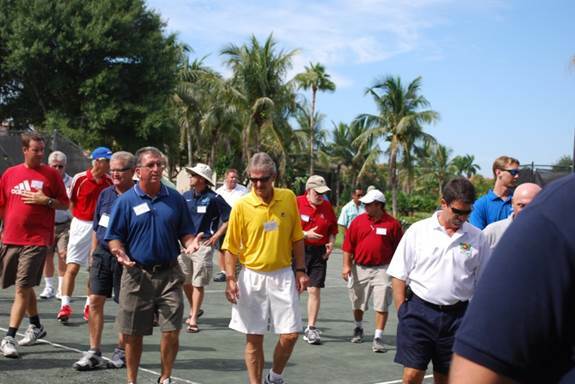 The Welch Tennis clay court maintenance seminars are growing in popularity! These informative seminars are geared towards anyone who may have anything to do with the business of maintaining clay (Har-Tru) tennis courts. Whether the courts are the traditional overhead-irrigated fast drying courts or subsurface-irrigated HydroGrid or HydroCourt, the guests come away with a lot of good knowledge. 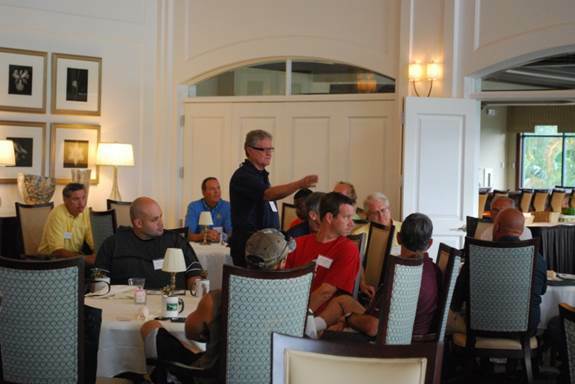 If you have 20 years of experience, or two weeks at your facility, these clay court seminars are a wonderful day for Club Managers, Tennis Professionals, and Maintenance Personnel. These clay court seminars are designed to give each participant a working knowledge of Har-Tru clay tennis courts, including an explanation and demonstration of the latest procedures in court maintenance. Emphasis is given to solving court maintenance problems and how recent innovations can be used to protect and enhance your tennis court investment. Each participant will be given a Certificate of Completion at the end of the day. This Welch Tennis Clay Court Seminar cost is $189.00 per person ($159.00 for each additional person from same facility) and includes a continental breakfast, lunch, & refreshments. USPTA Members can earn 3 credits for continuing education for attending. PTR Members earn MAP points for attending. Click here to download a registration form (must be faxed). For all information regarding these seminars please contact Shannon at 1-800-282-4415 or you can email her and you will be added to the announcement list when the new seminar dates and locations are announced.